Are you getting ready to have your summer party? What better place than a party at Pinz?! Yes, bowling! Bowling is great for people of all ages. The little kids can have bumpers up while the big ones can get competitive with their friends. Adults can have a pitcher of one of our 14 beers on tap as they catch up with one another and work on their form. The weather is always perfect (there’s no snow or rain in this alley) and the doors are always open. 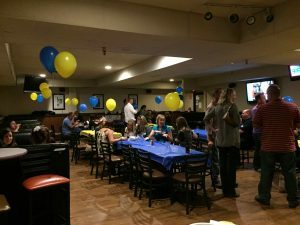 When you book at party at Pinz you, yes you, get to partake and play while your Party Hero handles everything -cooking, cleaning and even helping with writing down the gifts for those thank you notes later on. You can customize your package to fit YOU. Whether you’re turning 6, 16, 26 or 36 you can make a Pinz party the perfect party for you. Book your party by May 31st and receive 10% off when you mention this offer! How’s that for a great start to the summer? What type of parties are eligible for the discount? 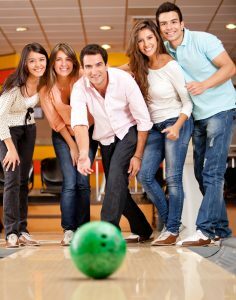 *The 10% is only available on food and bowling packages, it does not apply to alcoholic beverages.